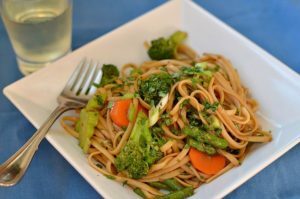 Looking for a quick and easy meal that is delicious on its own but can also be the foundation with which to build upon? If so, this Cold Sesame Noodle dish will certainly fill the bill. Served cold is decidedly great; but on a cold winter’s night, this dish will be equally fabulous served hot. Either way, you won’t be disappointed. And one of the best things is that you probably already have all the ingredients in your pantry and refrigerator. In a small frying pan over medium heat, warm the peanut oil. Add the red pepper flakes and cook, stirring, until the oil develops some red color and the pepper flakes are fragrant. Add the garlic and ginger and cook, stirring, until aromatic and soft, about 1 minute. Remove from heat. whisk together the sesame oil, soy sauce, balsamic vinegar, coconut sugar, and two teaspoons salt. Whisk in the garlic-ginger mixture. Bring large pot of water to boil, then add two teaspoons salt. Cook the pasta to al dente according to package directions. Drain and rinse under cold water until the noodles are cold. Drain thoroughly and transfer to a large bowl. 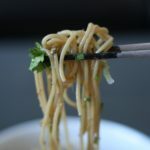 Add the sauce and toss to coat the noodles evenly. Add the scallions, reserving about 2 tablespoons for garnish. Toss to mix. 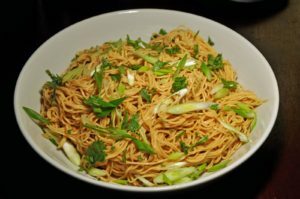 Cover and cool, tossing occasionally so the noodles absorb the seasonings evenly. Toast the sesame seeds until fragrant and lightly colored (about 5 minutes). 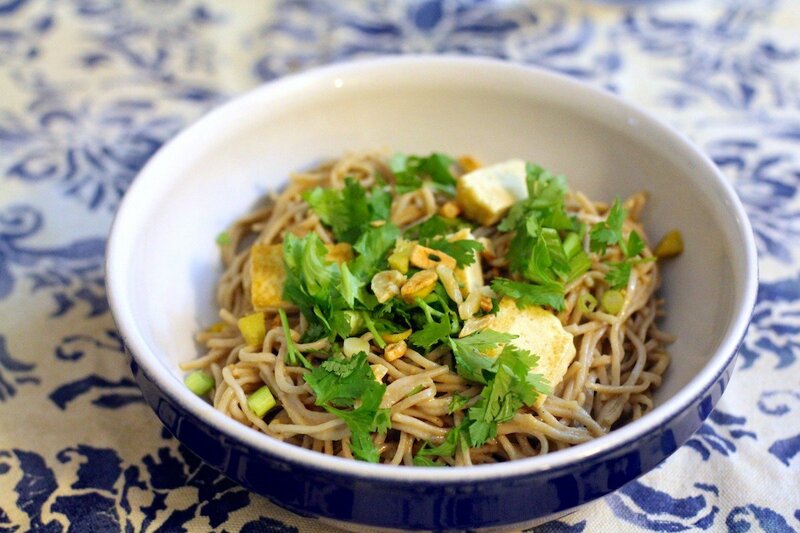 Cool on a plate, then add to noodles. 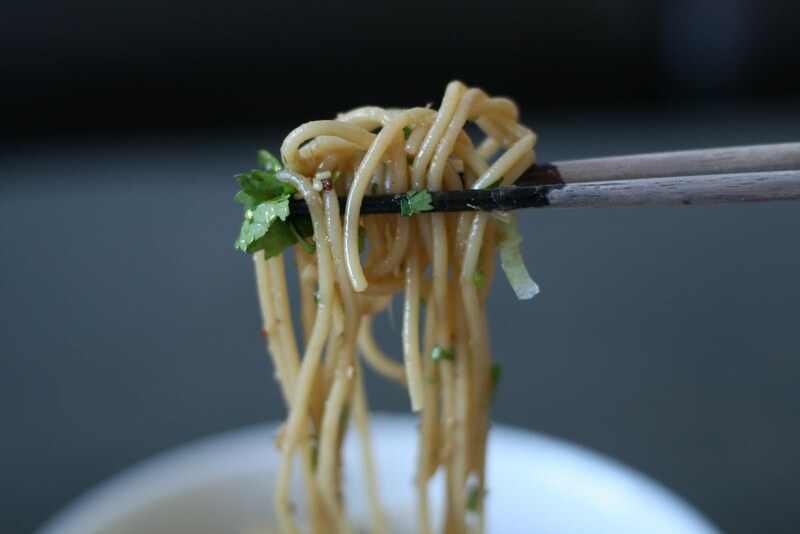 Add cilantro to noodles, reserving about 2 tablespoons for garnish. Transfer noodles to a large platter, garnish with the reserved green onions and cilantro and serve.